It's a melodramatic post title, except it isn't. With the passing of Alan Rickman, I've been reflecting on this topic this morning. Not only books, but the ways we ingest stories, the way they meld with us and into us. The way they can define decades, life transitions, and ultimately inhabit us. Stories become part of us as do the people who give them shape...fill them out...bring them to life. As a kid, I went through phases. I watched as many movies as I read books then. There have always been films that live in heavy rotation...a seemingly endless loop whether I reach for the DVD, catch them on TV, or they suddenly pop up in my Netflix recommendations. I realize, for every stage of my life there has been an Alan Rickman film on replay. As a tween, when I finally had the agency to rule the VCR, I was watching Robin Hood: Prince of Thieves for the love story...for the hero who trumps the undoubtedly, unavoidably compelling villain. As a teenager headed off to college at a religiously-affiliated university, having lost a parent, and questioning every last thing, it was Dogma. I reveled in its irreverence and quirky intelligence. It validated my questions. As a 20-something, and until now, Love Actually and Harry Potter took their places in my heart. In these particular roles Rickman was at his most lovable for me as frustrating, conflicted, maddening, gray-area characters. As most of you know, I've been re-reading the Harry Potter series as of late. I chose to read them all fairly rapid-fire because there are so many connections that are easy to miss when they're spread out and read piecemeal over time. I'm on Order of the Phoenix now, and I was thinking of laying it aside to read other things because this particular installment has always been the hardest book for me to read, but it's also the one where Snape really begins to take on more dimension. It's often hard for me to reconcile the image I have of a character in a beloved book with the actor on the screen, but I never, for one moment, questioned Rickman as Severus Snape. The match was just...perfect. I feel this loss heavily, and the death of a celebrity is almost never something that will push me to tears, but this morning I feel like I've lost a lot. 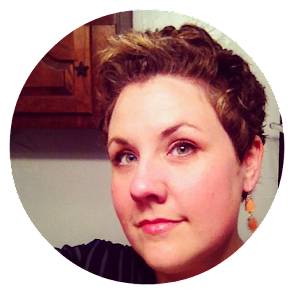 I think many of us who are readers feel this loss acutely. Tears have been shed, I find myself watching YouTube videos and remembering. 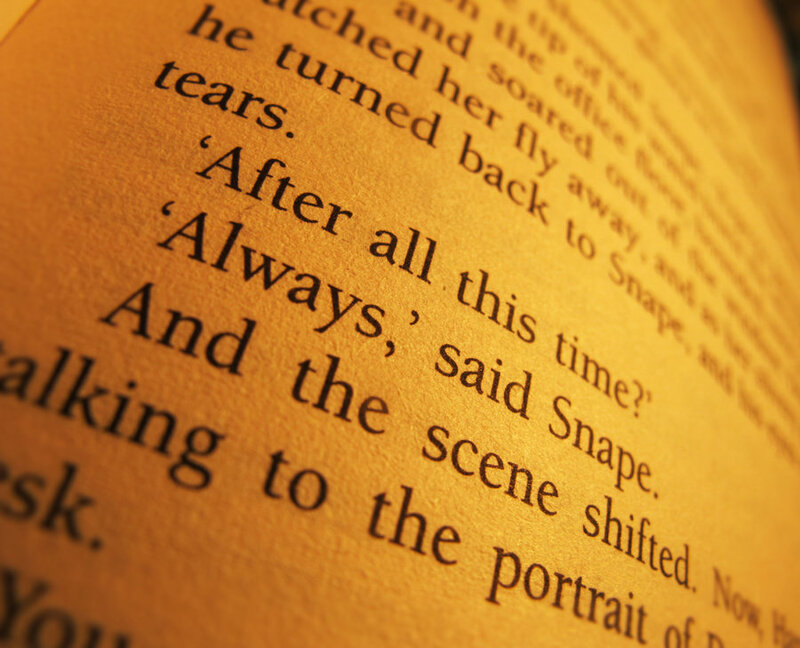 I will continue my Potter re-read to reacquaint myself with Snape. I'll watch the films and feel it all over and over again. I sincerely hope Alan Rickman lived a life full of joy and fulfillment. I hope that when he left this world he "greeted Death as an old friend, and went with him gladly, and as equals." Andi, this is lovely. I haven't been able to articulate why this celebrity death has hit me so much harder than others (like you said, I'm not usually one to cry over the death of a celebrity, though I am often sad to hear that we've lost (yet another) great cultural icon), but you've summed up all the scattered thoughts I was having much better than I could have hoped to do myself. I read somewhere that JK Rowling told Rickman early on in the filming of the movies what Snape's backstory was, even before she'd written the subsequent books. No one else on set knew, so she told others to yield to Rickman's judgement if/when he thought something was right for the character. I'm not sure if that's true, but Rickman played the character so perfectly through the arc of all the movies that it certainly seems that it could be. So very well said! I agree that this celebrity death has hit me hard as well. When I told my husband this morning, I wanted to cry. Severus Snape was always my favorite Harry Potter character and Alan Rickman played him with perfection. He will be missed. Great post! Such a beautiful post, Andi. Wish there was no need for you to have written it now. Don't we all. I don't watch a lot of TV or movies because I like to preserve how I see a book's characters in my head. 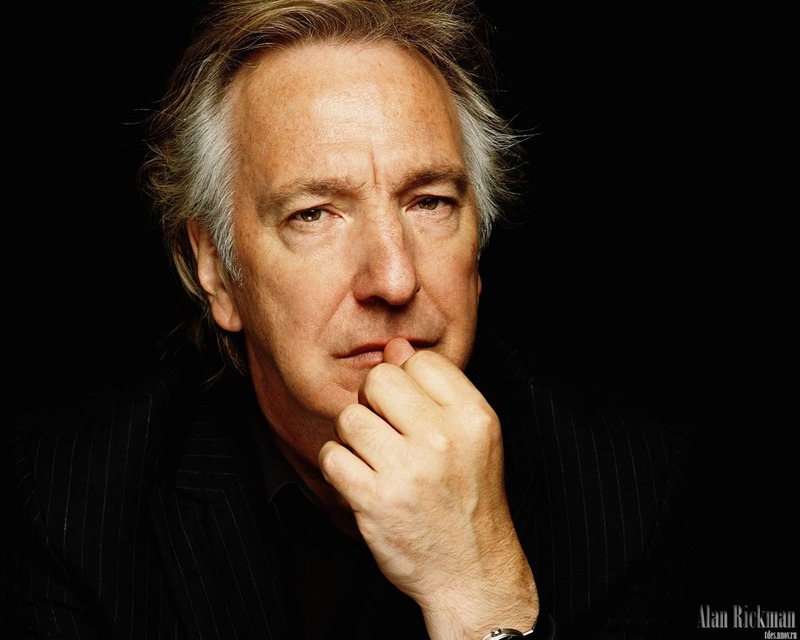 But I completely agree that Alan Rickman was simply perfect as Snape, hands down. 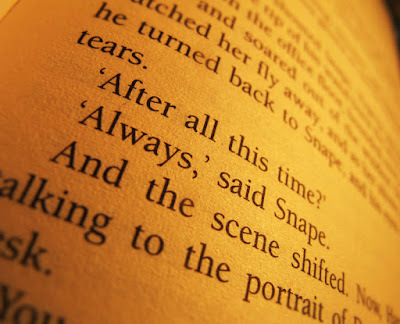 I love "seeing" him when I read Harry Potter, and I am saddened by his death. I'm also not one to be hard hit over the death of a celebrity. I'm also not one to watch a lot of tv and movies (even though I love movies), so I often don't even know a lot about the celebrities to begin with. But, everyone knows Alan Rickman - he's Snape and he's Colonel Brandon. I really feel sad that he's gone. And my daughter will, too. This is so, so lovely. And Die Hard. Hans Gruber was just so bad. A very talented actor, indeed. We have lost so much talent this month with Bowie, Cole and now Rickman. "I am an exceptional thief." Yes, Die Hard is one of my favorites. Thanks so much for writing this. When I saw on Twitter that he had passed, I inexplicably got tears in my eyes (and I don't think it's just preggo emotions!). This about sums up what I've been feeling, in ways I couldn't. Yes, I understand what you are saying here. He was a wonderful Snape, a character that I had such a complicated relationship with. The first time I saw Rickman though was in Die Hard as Hans Gruber. I can hear his voice in my head right now. And in Sense and Sensibility - sigh. He will be missed. I always feel saddened by the passing of a celebrity who has had some significance in my life, but I rarely cry. And I cried this morning when my I heard the news on the radio at 6am, and I cried at my desk when I read tributes to him. And I cried again when I finished reading your post. Gosh I'll miss him. Oh, Andi, what a lovely tribute. I too hope he lived a full and happy life. This is such a thoughtful post, and I can appreciate your sentiment. We do "feel" greatly when an actor portrays a beloved character from books we love or from movies that we connect with so strongly. I remember watching those movies (except for HP) along with Die Hard and Truly, Madly, Deeply. What a beautiful quote you chose for a loving and lovely tribute. Thank you. I love the way you connected books, life, and movies in this tribute. Add to the list: Truly, Madly, Deeply and Sense and Sensibility. Did you catch Ruby Wax on NPR today? I loved what she said about Rickman. She said "I have never loved anyone more in my life." Her comments on his acting were wonderful. You have written a beautiful tribute for a man I have never met, but feel so sad for losing. Simply perfect, Andi. Thank you for sharing this, Andi; I was almost in tears myself, last night, as I watched a tribute to him on the evening news. I want to rewatch all of the Harry Potter films now, with a renewed appreciation for his talent. Oh this is so perfect. I hope the same for him. It does feel like a massive personal loss - part of his brilliance, no doubt. Before Snape, it was Colonel Brandon. That portrait of love, waiting for the right moment, patient. Another perfect characterization. Such a beautiful post! I have not watched most of Rickman's movies but his death still felt like a blow. He will forever be Snape in my mind and his portrayal of the conflicted character was beyond amazing! Sigh. An amazing actor. He will be missed. I think his passing is so tough because his work resonated with so many people in different genres and different kinds of stories. This was lovely, Andi. Wonderful. I had such a difficult time after J.D. Salinger passed, even though he was in his 90s. This post reminds me of how desperately I needed an outlet, then. Alan Rickman was a brilliant talent and (seemed like) a beautiful person. He deserves to be missed passionately. What a lovely post! I am linking to this on my blog. This death has stayed with me, as well. Loved reading your thoughts on Rickman, and the stories that shaped us. You've captured my feelings so well. I think it is a testament to his talent and his passion that he is still able to evoke such emotion out of his audience even upon his passing. He will definitely be sorely missed.